Tommy Hilfiger fragrance and perfume list. 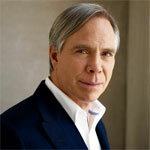 For over 26 years, Tommy Hilfiger has brought the classic, cool, American lifestyle to consumers around the world. Tommy launched his namesake brand in 1985 and introduced his first signature collection by modernizing preppy classics with updated fits and original details. The relaxed, youthful attitude of Tommy's first designs has remained a distinctive hallmark throughout his subsequent collections. His designs give time-honored classics a fresh look, and his discerning taste has provided the foundation for the growth of a global brand. Tommy Hilfiger has expanded into a lifestyle brand that produces sportswear, denim, footwear, swimwear, handbags, watches, and other accessories. Shop for perfume: Kohl's | Macy's - Accesorize at Macy's!